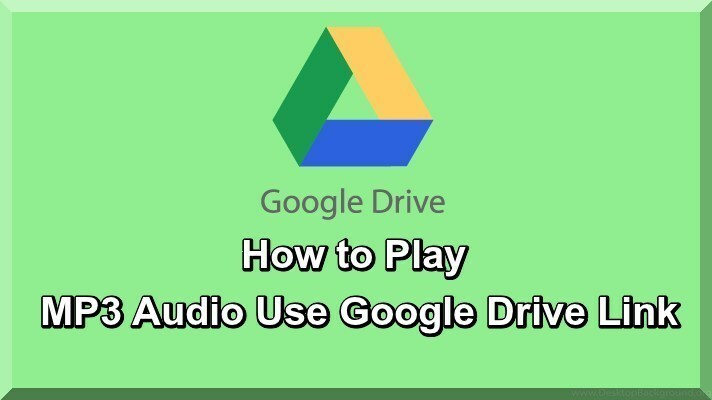 By this useful Article I guide you that how to play MP3 Audio to use Google Driver link. this tutorial is very profitable like other technical tutorials. Google Drive is a Cloud organization service which is essentially linked with all Google's online services such as Android, gmail, the Chrome browser and Google's online office. Though Drive's fundamental form is a file organization tool, it has many added extras which are ideal for serving you work in the Cloud. Google's free offering is up there with even the most kind of its competitors.You can get 15GB for free space just by having a Google account and also paid storage options are extremely cheap, too: 100GB of storage will cost you $2 (around £1.20) a month, which is a marvelously small price. Google Drive will immediately upload that change to the Cloud, make sure your files reproduce the latest version. This should be very simple and easy. Google Drive, including Docs, Sheets, and Slides, don’t count on the way to your storage limit. The only files that count against your storage space are the ones you’ve uploaded to your Drive, like photos and videos etc. 6. In light of above picture now you should be get output link it is direct link of your uploaded MP3 Audio and run it in HTML 5 Audio Player it shown below in red color. In view of the above, I hope you like this tutorial like other tutorials and enjoy.